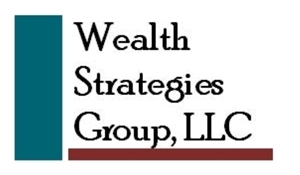 Since 1984, I have been helping clients manage their wealth…and I’ve seen it all. This experience enables me to guide clients through the various and uncertain markets. Who do you want managing your financial affairs during the next down market? Similar in background and values as those I serve, I strive to build relationships that go beyond the perspective of mere dollars and cents. I am an independent financial professional and business owner, not employed by any one industry or company. I do not have someone mandating which companies or products I use, allowing me to provide you with the options that best fit client’s individual needs. I focus on retirement and education planning and hold the Chartered Financial Consultant (ChFC) professional designation. I am a registered representative of Sigma Financial Corporation (Member FINRA/SIPC) and an Investment Advisor Representative of Sigma Planning Corporation (a registered investment advisor). I also belong to the Financial Planning Association and the Society of Financial Service Professionals. Being a Financial Consultant is 50% about Finance (the technical end of the business) and 50% about Advising. I offer clients financial wisdom and a commitment to doing what is right (which is not always what they want to do!). I treat clients like family and friends, and take the time to explain everything so they feel comfortable, confident and in control of their money. As part of my affiliation with Sigma Financial Corporation, I have an extensive team of financial professionals working on client’s behalf for any situation that may arise, no matter how complex. “Am I making money?” It’s a simple question, but is one that many financial advisors often cannot answer. The reports received from investment companies many times create more questions than answers. I use a consolidated statement package through Morningstar to create reports that are readable and understandable. Clients receive one concise report combining all of their investments and the information they need to stay informed, including amount of gains and year-to-date return.